Project Greenhouse has launched Khayr Qatarna, an innovative new phase that is inspiring our schoolchildren to help Qatar become more self-sufficient in fruit and vegetable production. Project Greenhouse is part of Sahtak Awalan – Your Health First, Weill Cornell Medicine – Qatar’s (WCM-Q) flagship health campaign, and since its launch it has provided 130 schools across Qatar with greenhouses, soil plant pots and fruit and vegetable seeds. This has allowed children to learn about the environment, sustainability, where their food comes from and most importantly the benefits of healthy eating. Project Greenhouse is now taking the scheme to the next level and is installing large-scale, state-of-the-art, climate-controlled greenhouses at certain schools. These greenhouses will be used to grow fruit and vegetables under the technical and specialist supervision of the Ministry of Municipality and Environment. 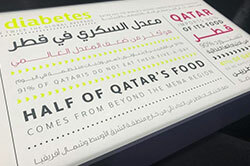 The Ministry will also monitor the distribution of the produce which will be sold through local supermarkets under the brand name Khayr Qatarna. Students will continue to be involved with the greenhouses, learning more about food production and economics. The initiative was launched at a three-stage event at Qatar National Convention Center in the presence of HE Dr. Mohammed bin Abdul Wahid Al Hammadi the Minister of Education and Higher Education and VIPs including Mr. Omran Hamad Al Kuwari, Acting CEO of QF, Dr. Javaid Sheikh Dean of WCM-Q, Mr. Andrew H. Kershaw, President and General Manager of Occidental Petroleum of Qatar, Mr. Dominic Genetti, Vice President and Joint Venture Manager ExxonMobil Qatar, and H.E. 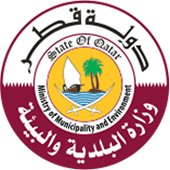 Dr. Falah Bin Naser Al Thani, Undersecretary Assistant for Agriculture Affairs & Fisheries Resources at the Ministry of Municipality and Environment. His Excellency Dr. Mohammed bin Abdul Wahid Al-Hammadi, the Minister of Education and Higher Education, hailed the strong partnership with Weill Cornell Medicine-Qatar for implementing the Your Health First campaign in the educational and social community. HE the minister further praised a series of highly successful initiatives by the college, notably Project Greenhouse which expanded its scope to engage schools to educate students about the values of self-sufficiency and autonomous food production. 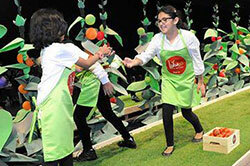 “Project Greenhouse represents an inspiring initiative to raise awareness of healthy lifestyles. It has transformed schools into productive units that enjoy learning both theoretical and applied knowledge, and has promoted the culture of healthy nutrition among students by producing their own and healthy food,” added HE the Minister. Dr. Al-Hammadi highlighted, in a communiqué, the pioneering role of Weill Cornell Medicine-Qatar in the field of health through an unprecedented and extremely well planned mobilization of its potential at the levels of knowledge, research, academia and human resources to serve the educational community. “Our students, therefore, acquire valuable life skills by engaging in key projects of the college that contribute to achieving our goals in education. These initiatives reflect the important social responsibility and role Weill Cornell Medicine-Qatar plays alongside its academic mission,” stated HE the Minister. The ministerial communiqué praised the role of the students who took part in the Your Health First campaign. HE the Minister stressed that school is the right place to develop students’ habits and behaviors during early years. Dr. Al-Hammadi called on all school administrations and stakeholders to engage with Project Greenhouse and to create a suitable school environment for the success of the initiative. The launch was also attended by more than 2,000 children who have been directly involved with Project Greenhouse, along with senior representatives of Sahtak Awalan’s strategic partners; the Ministry of Public Health, Qatar Foundation, the Ministry of Education and Higher Education, the Ministry of Environment and Municipality, the Supreme Committee for Delivery and Legacy, Occidental Petroleum and ExxonMobil. Without the support of these partners Sahtak Awalan and Project Greenhouse would not be able to operate as successfully as they have. The guests were told the history of Project Greenhouse and the mission and vision of the project through a variety of films, displays and exhibits. The attendees heard about the 130 greenhouses that have been erected at local schools, and the positive impact they have had on children’s health and education. They also heard about how producing food in Qatar will lead to emissions-reductions through the cutting of food miles, and how domestic food production allows Qatar to be self-sustainable. 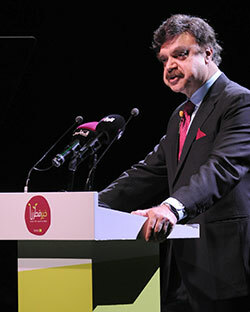 Dr. Javaid Sheikh, Dean of WCM-Q, spoke about the impact that good nutrition has on our lives. Dr. Sheikh said: “Non-communicable diseases are one of the greatest threats to our health; they include diabetes, obesity, certain cancers, cardiovascular disease and strokes. However, they are also almost entirely preventable and by taking regular exercise and eating a balanced diet we can remain healthy and active for longer. 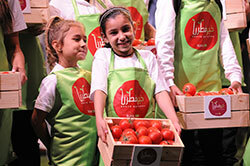 The launch ended with students involved in Project Greenhouse distributing some of the produce grown to the VIPs. The new large-scale greenhouses will be cultivating a variety of foods including cucumbers, eggplants, tomatoes and zucchini. Any profits from the initiative will be reinvested in Project Greenhouse.